Our staff and customers have been raving about Overdrive’s new app, Libby. A noticeable improvement over the regular OverDrive app, Libby offers a fresh, streamlined experience. Browsing for books has never been so easy, and borrowing and downloading can be done with a few simple taps. Whether you’re travelling, on-the-go, or e-reading from the comfort of home, you can access OverDrive any time with Libby’s help. When you make friends with Libby, you will have access to Halifax Public Libraries’ entire Overdrive collection of over 29,800 titles. The best part? It’s all free, with no late fees! Samples of any book are available with a tap – there is nothing to download or delete. Use tags to create customized lists of books you love or want to read. Receive detailed wait list information and get a better sense of when your hold will come available. Reversible book jackets “flip over” onscreen once you’ve borrowed a book or placed a hold, making these updates easy to spot. Search by series to discover more of your favourites. The “Also Available As” feature alerts you to additional formats available at the Library—e-books or audiobooks. Most of all, we love the beautiful browsing experience that makes finding your next read so much fun. New to e-books and audiobooks? No problem. Once you’ve downloaded the app, Libby will guide you through the setup process and introduce you to all the new features. All you need is a library card, an internet connection, and a compatible device. Libby is available for Android, iOS (iPhone/iPad/iPod touch), and Windows 10. 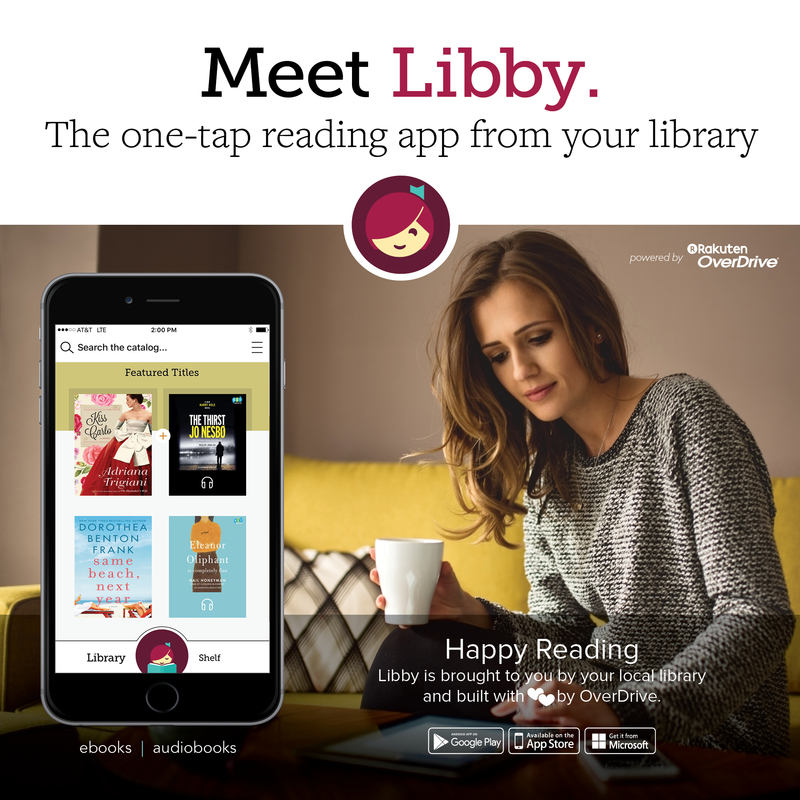 Head over to your device's app store and install the Libby, by OverDrive app. Open the Libby app and search for Halifax Public Libraries. Tap Add Your Card to sign in with your library card or your OverDrive account. Search the Library's collection and start reading! Looking for more detailed information about Libby? You can find that here.